Cape Elizabeth Land Trust » Paint for Preservation June 30th! Paint for Preservation June 30th! It’s coming – CELT’s largest event and fundraiser for the past 11 years! Mark your calendar and plan to join us for Paint for Preservation 2019, CELT’s 12th Annual Wet Paint Auction. We’re very grateful that the Holden family has agreed to share their beautiful home at Garrison Field as our hosts on Sunday, June 30. During the weekend of June 28-30, thirty (30) artists will paint outdoors at designated public and private sites chosen to highlight Cape Elizabeth’s natural beauty. The Call for Artists will go out in February. 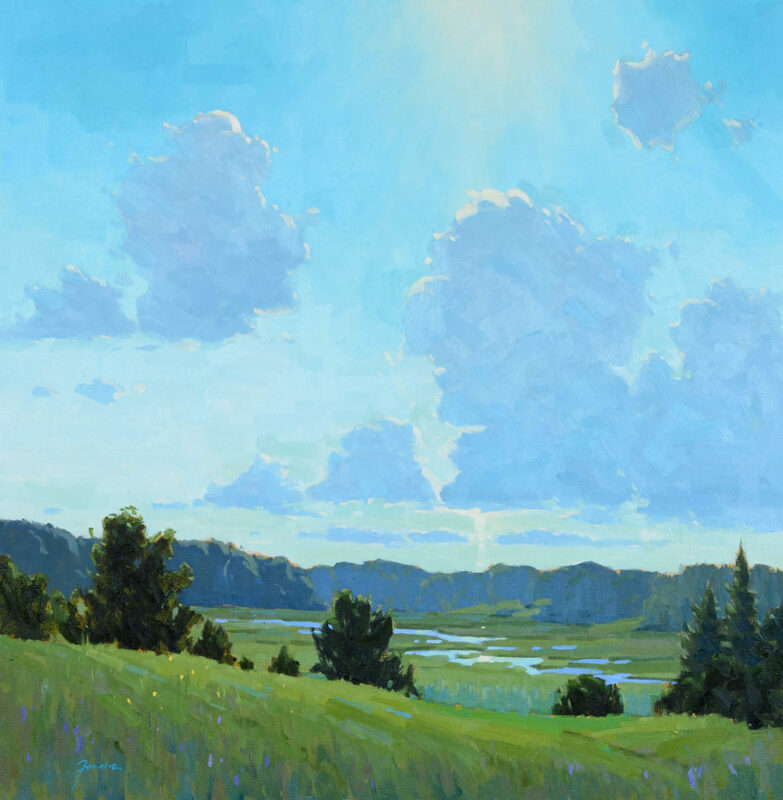 Artists are juried, and the selected artists donate a portion of the art sales to benefit CELT’s work to conserve local conservation lands. On Sunday, the newly painted artwork is auctioned live at a tented cocktail reception that attracts more than 400 people each year. Between 60-70 volunteers contribute to making this event a success. Claudia Dricot, one of the event’s founders, is chairing the planning committee, which has already begun meeting each month. There’s a lot to do! Everyone can help out in one way or another — if you’d like to join in the planning or help on the days of the event, please email patty@capelandtrust.org. We also rely on the generous support of corporate sponsors. Sponsors benefit from the publicity surrounding the event and free tickets for their staff or clients. If your company would like to sponsor email patty@capelandtrust.org.